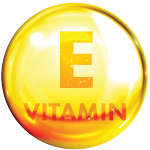 Vitamin E is most concentrated in the epidermis, specifically the stratum corneum. The stratum corneum is the part of the skin that has direct exposure and defense response when exposed to cell-damaging ultraviolet radiation. Vitamin E is guided throughout the skin and body by way of sebum flow. It is no surprise that vitamin E is effective in protecting the skin against free radicals. It neutralizes and absorbs harmful, external sunlight and environmental, oxidative assaults on the skin. When there is a vitamin E deficiency, the body becomes much more vulnerable to lipid destruction through oxidants, such as free radicals attacking the lipid cells, decreasing one of the body’s natural mechanisms of defense. Vitamin E, when depleting in the body, can regenerate itself, but only in the presence of other antioxidants. Although it is a powerful vitamin, it is supplementary, meaning that it is the most beneficial and has the greatest impact when it is in synergy with other antioxidant-rich vitamins. Of all of the molecular types of vitamin E, alpha-tocopherol is the one used in most supplements and skin care products because it is the most biologically active. It has one of the most powerful free radical-scavenging abilities of any antioxidant in regard to lipids. Even though it is the most ample, oil-soluble antioxidant in the skin, its availability in the rest of the body is in relatively low amounts. 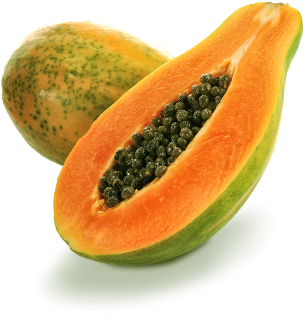 It is one of the primary antioxidants responsible for inhibiting UVB-triggered skin inflammation and immune response. For the ultimate ultraviolet defense, vitamin E must be accompanied by vitamin C.
Over the last five to 10 years, vitamin E has been most recognized for having scar- and stretch mark-smoothing and firming benefits. Because of its oil-based characteristics, vitamin E creates a protective, moisturizing barrier for the skin when applied topically, functioning occlusively. This kind of environmental, external shield can facilitate the skin’s ability to regenerate itself with the powerful doses of antioxidants. Vitamin E can effectively repair and even heal skin cells when it is combined with other vitamins and antioxidants. 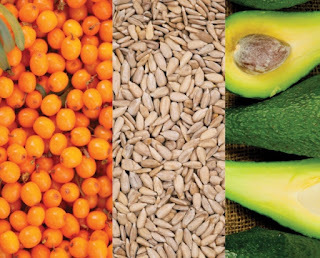 Some examples of ingredients with pure and naturally existing vitamin E, in its greatest and most-active form, include hippophae berries, nuts, and avocados. The abundant hippophae (sea buckthorn) berries are a remarkable example of the maximum potential of vitamin E as they contain the highest single source of the vitamin in nature. In addition, the rich concentrations of vitamin A and vitamin C in the hippophae berries allow for vitamin E to become more potent and to regenerate itself in the skin. Accordingly, the body’s ability to protect itself from environmental ultraviolet damage and the skin’s self-lubricating capability dramatically improves. Hippophae berries contain a multitude of skin- and body-beneficial omegas, including the rare omega-7, which has extraordinary healing power. Alpha-tocopherol works effectively in the preservation of omega fatty acids, promoting health and wellness. Sunflower seeds and nuts, especially hazelnuts and almonds, are abundant with vitamin E. As a skin care ingredient, the flesh of the nuts or seeds can be incorporated into exfoliation products as a manual exfoliant. 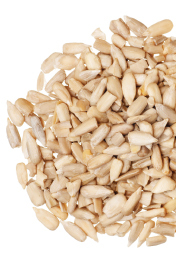 The extracted oil from the sunflower seeds or nuts complements any anti-aging or dry skin product formulation. The powerful antioxidant percentage of vitamin E allows the body to combat skin-damaging free radicals, along with magnesium, working to decrease cell vulnerability. Vitamin E action in nuts is optimized because of the balanced, additional value of vitamin A, destressing vitamin B, vitamin C, elastin-stimulating copper, and zinc. Avocado is another vitamin E heavyweight food, having deeply hydrating and age-defying properties, in addition to being a phenomenal food as part of a regular diet. 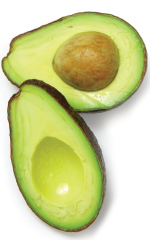 Avocados are also packed with omegas and vitamins that facilitate the maximum moisturizing, nourishing, and ultraviolet-protecting benefits of vitamin E, especially when co-existing in synergy. Other rich sources of vitamin E include dark-green, leafy vegetables, including kale and spinach, whole grains, oatmeal, flaxseeds, raspberry leaf, and rose hips. When exposed to significant amounts of direct light, vitamin E-rich oil can darken in color. This change does not necessarily mean that the efficacy of the vitamin decreases significantly, although it may. Typically, most skin care products, if exposed to direct sunlight for prolonged periods of time, will change in appearance and effectiveness. Skin care formulations with vitamin E are meticulously perfected because vitamin E is a hydrophobic ingredient. It is also lipid-soluble, which in some sources may be comedogenic. An effective vitamin E-rich skin care product formula should contain an ingredient where the vitamin is already naturally present in a high concentration. It should also be in combination with other antioxidants, such as in hippophae berries. If a formula does not have an ingredient that already has all the vitamins in it, it would then be necessary to use an emulsifier to integrate vitamin E with a water-soluble ingredient, such as vitamin C. An emulsifier forces oil-based and water-based ingredients to mix. A deficiency in vitamin E is accompanied by many adverse side effects that can be quite severe. There becomes a detrimental possibility of tissue damage as a result of free radical offense that can even be cancer provoking. In addition, a deficiency in vitamin E can trigger an impairment of red blood cells and nerves. Insufficient vitamin E in the body can also negatively impact the menstruation cycle or even cause fertility problems for both men and women. To maintain healthy levels of vitamin E, it is necessary for the body to have a healthy supply of zinc and selenium, which also promotes the body’s acceptance of vitamin E.
Despite all of its positive effects on a person’s health and skin, vitamin E can also be harmful if it is overused. It is not recommended to have more than 600 international units of vitamin E daily when taken as an oral supplement. Excessive amounts of vitamin E can affect the body’s blood-clotting abilities. Ultimately, there has to be balance to allow the body to acquire and take advantage of all of the benefits that vitamins have to offer. A 1999 study, which was published in Dermatologic Surgery Journal, introduced the possibility that using vitamin E alone may not necessarily be ideal as a scar- and stretch mark- smoothing ingredient. It even went as far as demonstrating that topical vitamin E caused an adverse response from the skin, actually irritating and worsening the appearance of recently developed scar tissue. It is always a good idea to be aware that there have been cases of people developing contact dermatitis as a result of vitamin E, as there can be such thing as too much of a good thing, even to something that is naturally existent in the body. Vitamin E alone offers only a portion of potential advantages to the skin. When in collaboration with other high concentrations of vitamins and omegas, the comparison of how much more of a difference vitamin E makes in encouraging the skin’s restoration process is dramatically increased. To truly appreciate the amazing benefits of vitamin E, imagine that the skin is like a building. To shape and sustain the structure, it needs building blocks; those blocks are healthy cells. Vitamin E, with its powerful antioxidant action, stimulates cell repair and regeneration, sourcing the skin with healthy cell building blocks.